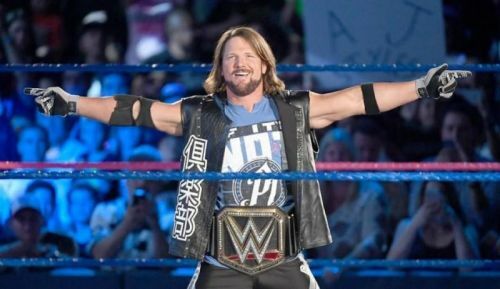 After months of conjectures and unending speculations, it's official now that AJ Styles has finally signed a new contract with the WWE. 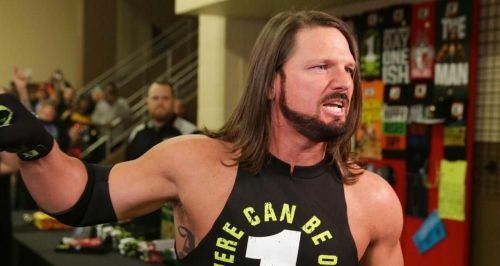 The Phenomenal One has been influential in ascending SmackDown Live to the very top of the wrestling industry, with many in the wrestling community claiming it to be a much better show than Monday Night Raw. While the details of the new contract are still unknown, the former WWE Champion has finally silenced all the rumors that were doing the rounds about him having second thoughts in re-signing with Vince McMahon's billion dollar company. Ever since storming his way into the squared circle in 2016, the 41-year old mega-superstar has been pushed as the face of SmackDown Live and has remained a pivotal component in delivering some of the most compelling matches on the main roster. Not to forget his incredibly illustrious 371-days WWE title reign which is publicly recognized as the longest WWE Championship reign in SmackDown's history. Considering that The Prince of Phenomenal is now engaged in an emotionally riveting feud with Randy Orton, there's no denying that we could be getting another classic from the former United States Champion at WrestleMania 35. Regardless of the rumors that coerced us to believe that Styles might jump ship to All Elite Wrestling, one still wonders what did Vince McMahon lay on the table that led to the Phenomenal One re-signing with the WWE? So without further ado, let's dive deep and analyze the 5 biggest reasons why A.J. Styles has signed a new contract with the WWE. Will The Phenomenal One work a limited schedule? It's commendable that a superstar like A.J. Styles is still churning out classics with average in-ring performers, at this day and age. The 41-year old Superstar continues to be one of the most hard-working members within the squared circle and has justified his versatility every time he steps foot between the ropes. Despite being such a proficient competitor, he's always on the road. His last WWE Championship reign saw him working headlining live events and television shows on a weekly basis. Considering that there were rumors of The Phenomenal One wanting to work a limited schedule in his WWE contract, a deal here could see him working under a more similar contract as Randy Orton. Since Styles has always endorsed the idea of giving time to his loved ones, a limited schedule here would see him working television and just a limited number of house shows.